The services we offer are delivered to a high standard and use professional fitters to make sure your new windows, window repairs or replacement glass stands the test of time. 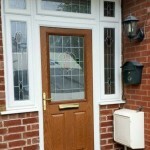 We are proud to offer replacement glass services in Leicester and the surrounding areas. Our qualified window technicians can assess the existing windows and glass in your home or business. If any of the windows show signs of damage, we can make a replacement glass unit to fit perfectly into the existing frames of your windows. There are many reasons for window glass becoming damaged. The seals on double glazed units can break down and cause moisture to get in between the glass panes. You may have started to notice condensation on the inside of your double glazed windows. This means there is an issue with the sealed unit and you will need replacement double glazed glass. Replacement glass can come in many shapes and sizes. We can manufacture replacement stained glass windows, leaded panes and any other glass applications including shower screens and more. Weather conditions may cause damage to windows or some cleaning products can affect the seals and integrity of windows. 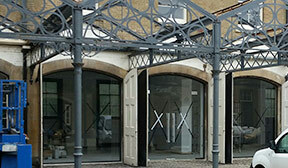 If you have commercial glazing and have noticed there is an issue, we can help. Our team can visit your business and evaluate the condition of your shop windows, office glazing or other commercial glass. Should you need replacement commercial glass units, we can manufacture new glass to the exact dimensions of your current unit. This will make sure there is minimum disruption to your business as the unit fits directly into the existing frame. There is no need for further building works. We are experienced in all types of glass manufacturing including specialised glass. If you are looking for replacement fire-rated glass, laminated or toughened glass replacement, our team has the knowledge to help you. If you need emergency glazing services, boarding up of broken windows and fast window replacement in the Leicester area, we have the service you need. 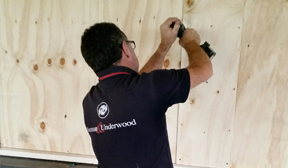 We can attend your home or business within a fast response time of 1 hour and board up the affected windows. We offer a 24 hour replacement glazing service so we can get your window glass replaced quickly. Our business has been providing roof glazing, replacement windows and domestic or commercial glazing replacement services for many years. The replacement window services Leicester residents and business owners choose is Norman and Underwood. 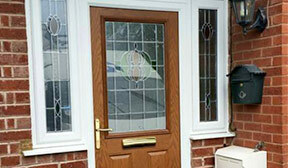 We are happy to help you with any of your glazing needs. 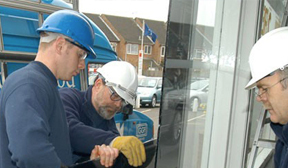 Our team can respond to your enquiry quickly, offer expert advice and provide replacement glazing quickly. We work 24 hours a day and 365 days a year to make sure we can provide replacement glass services whenever they are needed. 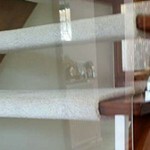 Contact us today for emergency glass replacement and more. Traditional stained glass or clear leaded lights. 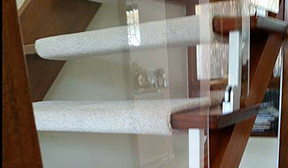 High performance double glazed units. Balustrades, splash backs, mirrors, shower screens and more. Shop front windows, high performing solar controlled double glazed units. Frameless glass screens and doors, fire rated glass and windows. Fast response within 1 hour, operating 365 days a year. 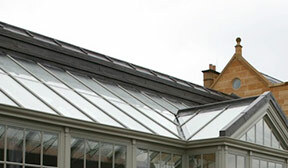 Thermally broken high performance glazing systems of the highest quality supplied and fitted. Norman & Underwood are suppliers of all styles of Glass including; toughened, laminated, mirror, coloured splash backs, horticultural, fire rated and many more. I wish to congratulate your staff for an excellent refurbishment of my staircase. From design to completion, I was extremely impressed with their efficiency, work ethics, politeness, and cleanliness. I could not have asked for a smoother work experience or a more beautiful outcome. I completely endorse your product. Thank you once again. Just a short note to thank you both very much for the speed and efficiency with which you replaced the broken glass in my mothers door. As she suffers from Parkinsons, she gets easily stressed over the smallest problems, but the excellent service we received from you over this made the process of replacement very easy on her. Many thanks again.